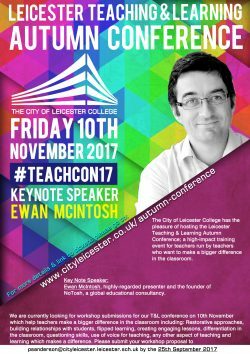 On Friday 10th November 2017, we have the pleasure of hosting the “Leicester Teaching and Learning Autumn Conference”. This is a high-impact training conference for teachers run by teachers who want to make a bigger difference in the classroom. Click here for a printable version of the above poster. Ewan McIntosh is an award-winning educator and the founder of NoTosh Limited, based in Scotland, Australia and San Francisco, with a global reputation for researching and delivering new learning opportunities for some of the world’s top creative companies and school districts. 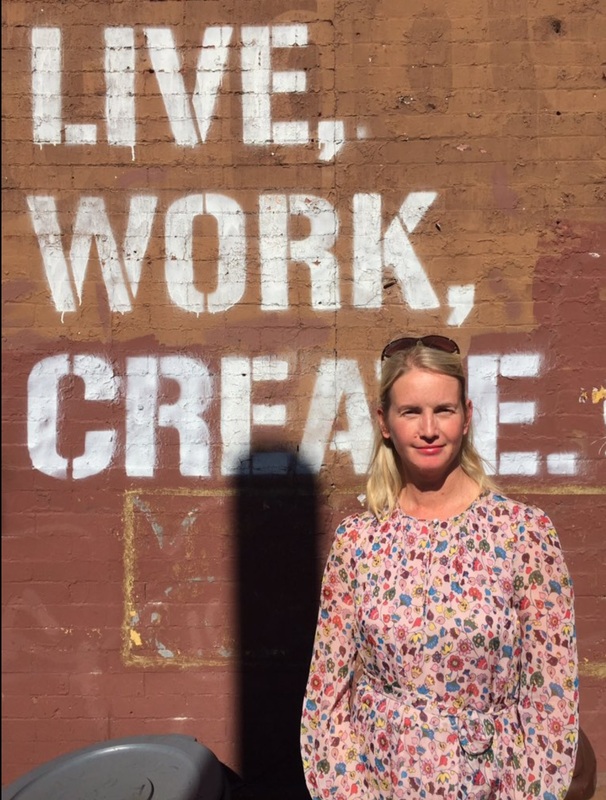 The team has a unique ongoing experience in creativity in creative contexts (we work with some of the world’s top fashion, media and tech companies) and research-based learning and teaching development with schools. Keynote Title: Creating the best school we can, together. What does it take to gain consistency and Operational Excellence in a complex school? And why is it so important? 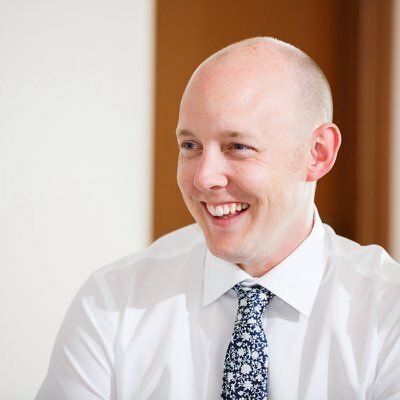 Ewan shares some of the insights from NoTosh schools’ classroom and leadership practices, where teams have worked towards consistent behaviours and practices, and students have seen the impact. Expected outcomes: In this workshop delegates will leave with a better understanding of effective strategies for marking, feedback and assessment. Outline of the session: Delegates with have an opportunity to share their good practice and will leave with ideas and resources which can be used in lessons straight away. These ideas have been kindly shared by schools nationally and selected for their effectiveness in enhancing learning and reducing marking time. 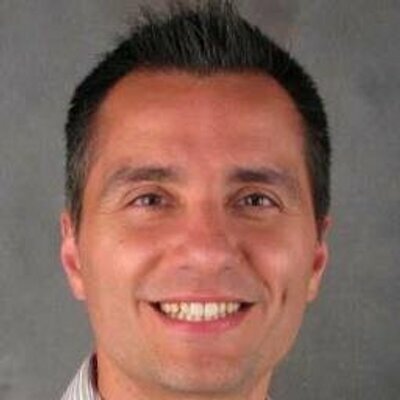 Pete Sanderson: Working in schools since 2002 and interested in ways to make learning more effective. 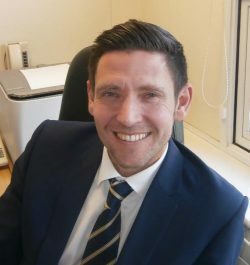 He leads teaching and learning at The City of Leicester College as part of the senior leadership team and has worked in a number of schools across the East Midlands in middle and senior roles including Director of Learning for Science and as Head of year. Pete leads and coordinates the Leicester T&L conferences. 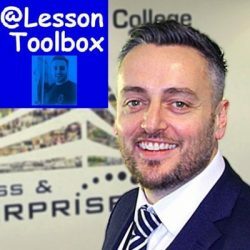 Pete is the creator of the “LessonToolbox” blog and resources. His @LessonToolbox twitter feed has nearly 20,000 followers and he is speaks regularly at conferences nationally on areas such as marking, feedback, questioning, engaging students for learning, and thinking skills. 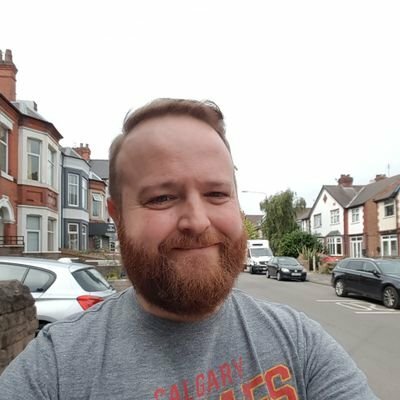 Pete is also a level 2 Judo coach training primary and secondary age children as well as adults. Expected outcomes: Developed understanding of voice and how to use it more effectively. Outline of the session: Attendees will have considered their use of voice in the classroom and around school. We will work on how to use it (or not use it) to greatest effect in a school setting. Strategies for saving your voice, exercises and approaches to help you use your voice in the way you wish to keep it in top condition and develop it as your number one classroom tool. Expected outcomes: An insight into how working memory can present barriers to effective learning and how we might be able to overcome some of these issues. Outline of the Session: This session will investigate the reasons why working memory is important in learning and why some children struggle to cope with the demands of the classroom. We will examine the characteristics of children with poor working memory and review some methods for overcoming the limitations of poor working memory. The session will look into cognitive load theory and how a better understanding of this theory could enable us to help our children to learn more effectively. 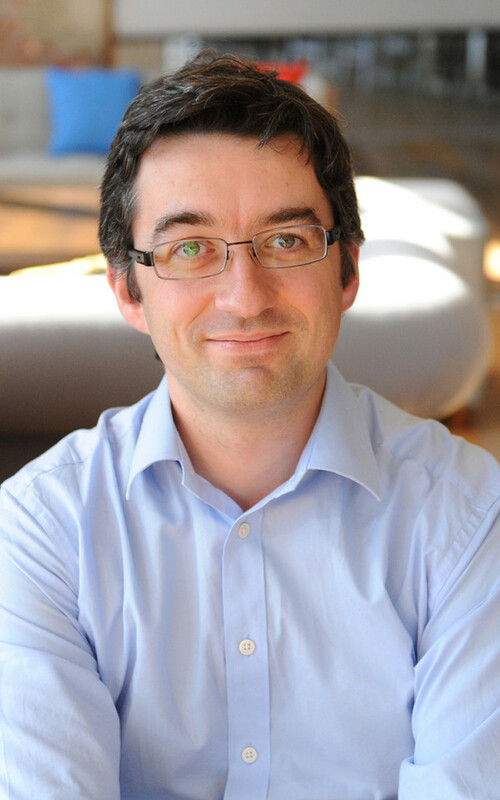 Chris will provide you with practical strategies to help you better support children with working memory problems. Expected outcomes: We hope attendees will come away inspired to try situation based learning in their lessons soon! Attendees will have seen a range of ideas for lessons, whether introducing or revising a topic, as well as considered how to resource their scenario. Outline of the session: From the ‘Coroner’s Office’ to an ‘Escape Room’ turn your classroom into an adventure. Come along to hear about a range of tried and tested scenarios to liven up maths and humanities lessons. 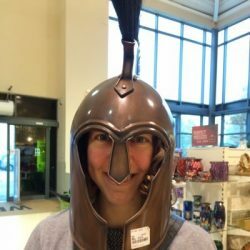 Caron Downes: Teacher of Classics at a school in York. Keen to dispel the myth of Latin being boring, she is passionate about the use of technology and creativity in her lessons. Tony is a teacher of Maths in a school in York with ten plus years of experience. He is passionate about making maths engaging and fun. Expected outcome: Teachers will discover new angles for teaching WW1 and the significance of Poppy Day. They will come away with a deeper understanding of the effect of the First World War on individuals. Teachers will learn not only the importance of a good story to hook students, but will take away tips for researching their own first hand accounts, together with a range engaging methods to enhance their student’s learning experience. 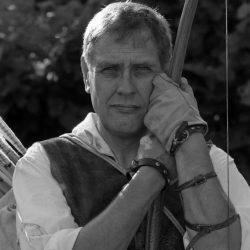 Kevin Hicks: Decorated veteran soldier and ex-policeman, set up the History Squad over 20 years ago to deliver live workshops in school and castle tours. 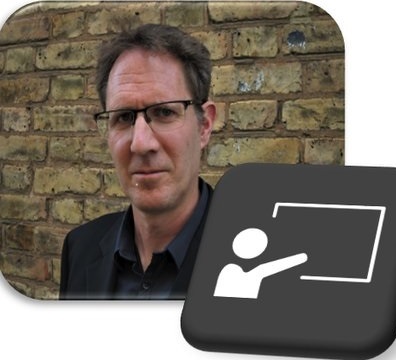 Creator of ‘Talk History’ films for OCR and 85 short films for Oxford University Press, Kevin has since developed 60 Second Histories; an online film and teaching resource which delivers over 260 bitesize films with lesson plans and safe-sharing for pupils. Kevin has a passion for history that’s infectious, it’s difficult not to be inspired. Workshop Title: Differentiation, challenge and the role of student choice. Expected Outcomes: Delegates will leave with a range of practical strategies based on student choice to enable them to develop a culture in their classrooms where students differentiate and challenge themselves. Outline of session: In this session delegates will act as students and have the opportunity to complete a series of activities in which they are encouraged to choose their own level of challenge. There will be an opportunity to discuss the role of student choice in promoting learning and progress across subject areas. Delegates should take away a range of strategies which they can implement in their own classrooms on Monday. Expected outcomes: Delegates will have the chance to use a range of EdTech tools to develop their T&L repertoire such as assisting with assessment, ease marking, provide instant feedback and generate individualism for pupils. Outline of the session: Opportunities to use online tools to aid in assessment measures both in class and for homework. Methods of integrating edtech across the curriculum to engage learners and aid a paperless classroom. He’ll show several examples of various tech tools, for teachers and pupils, to aid the learning experience. Delegates will then have a go at one or more of the ideas to create a resource/homework example of their own. Please bring a device (laptop, iPad or smartphone) to ensure you get the best out of the session. Olly Lewis: Olly is Head of Physics at The Oratory School and enjoys using technology as an enabler for his pupils to access learning content, get instant feedback and drive individualism while reducing teacher workload. Expected outcomes: Take away useful resources, activities and ideas which can be used in lessons (particularly science – primary and secondary) as well as develop whole school real life activities such as energy monitoring, wildlife and biodiversity. Outline of the session: Opportunities to use resources and activities which support environmental education in the classroom. Activities can be tailored but could include looking at energy use for working with students, various campaigns, resources for science etc. Expected Outcomes: To understand some of the theory behind learning vocabulary for EAL learners. To have some practical activities and strategies to teach vocabulary in the mainstream classroom. Outline of the session: The teaching of vocabulary to EAL learners is an important aspect of helping our students succeed in the mainstream classroom. This is best done through the context / topic or subject in which the EAL learner is learning. This workshop will look at some of the theory behind learning vocabulary from an EAL perspective and offer practical strategies for you to use in your classrooms to help EAL learners learn content related vocabulary. Jonathan Bifield: EAL / Bilingual Coordinator at TCOLC. I have spent the majority of my teaching career working with learners who are learning English as an Additional Language and passionately believe that the best place to acquire English is in the content based classroom. Expected outcomes: To take away strategies which can be used in a variety of subject areas to support students to consistently make progress. Outline of the session: How do you as a teacher ensure that all groups of students in your lesson make progress? Are you stretching your KS3 students or are they treading water when they start Secondary school? If provision for the Higher Ability students in your class is good, it is likely that provision for all groups will be good. Tried and tested strategies which support the learning of Higher Ability students will be the starting point. 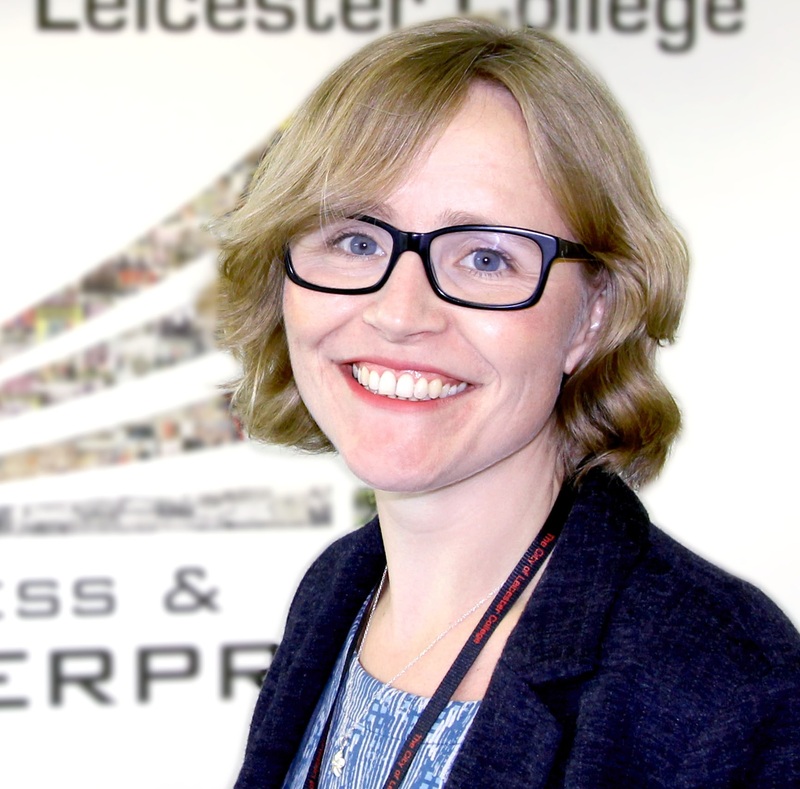 Tina Searle: Former Head of Department and Advanced Skills Teacher, currently teaching Music and seconded to the College Leadership Team at The City of Leicester College with responsibility for teaching and learning. Expected outcomes: Teachers will leave the session with a better idea of how to use weaker or less confident students to lead groups of their peers in learning. Using examples from Maths lessons, teachers will see how students gain confidence by leading groups of their peers in different teaching groups, often in higher sets than their own. 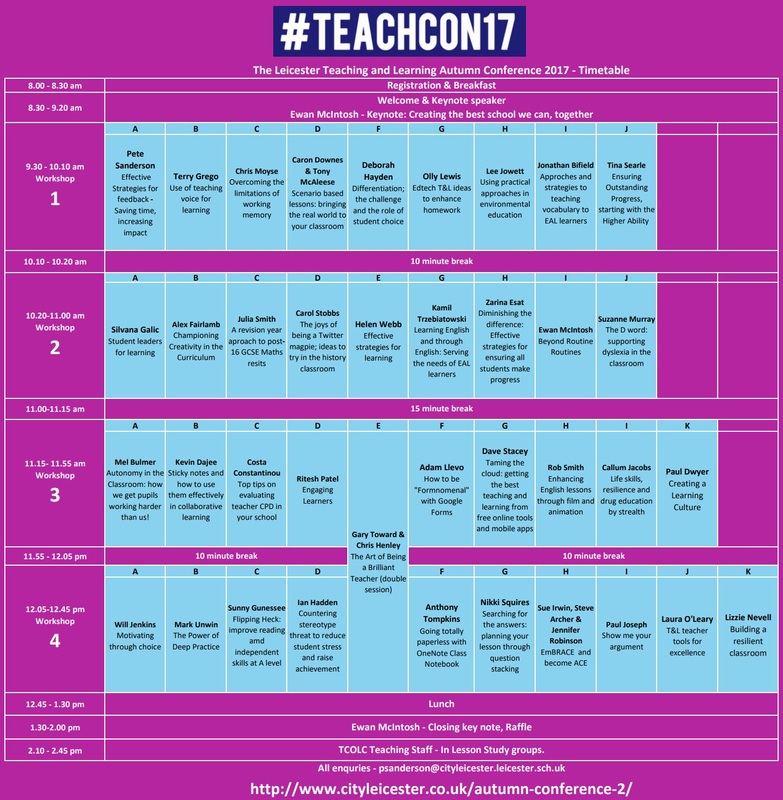 Outline of the session: Teachers will have an opportunity to discuss strategies to support students and build confidence in a subject. 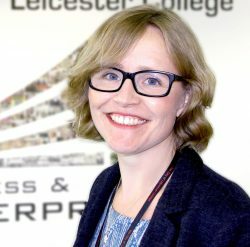 Delegates will have a chance to talk with students from the City of Leicester College who have been involved in the programme and will be able to reflect on how they might implement similar strategies in their own schools. Silvana Galic: Previous head of Maths and teacher for 28 years in British and International schools in the UK, Croatia, Serbia and Greece. Expected outcomes: exploring creative ways to deliver teaching and learning, an evaluation of what creativity actually is and it’s impact within teaching and learning, an understanding of how creativity can be effectively incorporated into current curriculums in light of challenges and pressures, a drive and thirst to be creative and to encourage students to be creative too. Outline of workshop: defining creativity including roles within it; appraising creativity and evaluating it using pedagogy and research; an honest discussion of challenges and barriers to creative teaching and learning, myths and fears; an exploration of different creative resources and strategies; reflection and next steps – how could this apply to my subject, school and students going forward. 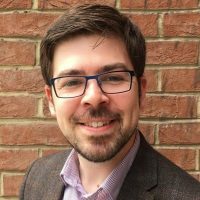 Alex Fairlamb: Secondary History teacher and a Lead Practitioner in Teaching and Learning. My role is focused upon facilitating voluntary CPD: Voluntary Teaching and Learning Meetings, Sharing Good Practice – Conversations in the Cafe, Mission Pedagogy (spontaneous teaching and learning challenges), POP-ping By (Peers Observing Peers lesson drop ins) and working with a colleague to create our monthly T&L newsletter – PG Tips (Pedagogical Tips). I also lead a Research and Development group in school, mentor ITT History students and created our whole school CPD Journal. My passion lies within creativity and innovation, which my MEd modules focused upon that specialism. I also worked in a living museum for a year which supported this research my immersing primary and secondary students into 4D historical contexts and stories using architecture, drama and object handling to drive engagement and literacy. 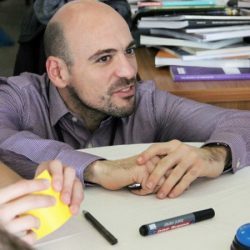 I write articles for Innovate My School and create resources for Teachit History. Outline of the session: the session looks at a unique lesson structure based upon the 5R’s revision approach. This approach has had significant impact for some providers, doubling resit outcomes in some cases. It focuses upon memory and methods, routines and readiness for the exam whilst developing student ownership of the qualification. Workshop title: The joys of being a Twitter magpie, ideas to try in the history classroom. Expected outcomes: A range of ideas to try in your classroom tomorrow and beyond. Outline of the session: Based on evidence from cognitive psychology research, and the impact of this on her own classroom practice, Helen will introduce a range of strategies for effective learning. Delegates will have the opportunity to discuss how specific learning strategies, such as retrieval practice, can be adapted and differentiated for effective use in the classroom. Helen will also link these ideas to how we can teach students to use their revision guides more effectively at home. Expected Outcomes: Delegates will have a better understanding on which strategies for learning are effective and which are not. Teachers will gain a range of ideas on how to introduce and teach these ideas to students in their own classroom so that students can improve their independent learning at home and ultimately improve the progress they make. 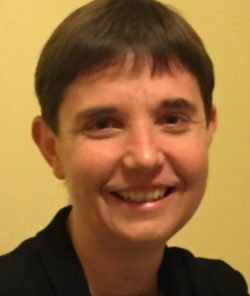 Helen Webb: Helen is an experienced secondary Science and Biology teacher, Lead Practitioner and freelance educational writer for the educational teaching magazine, SecEd. 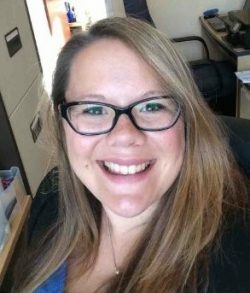 Her professional interest is in the development and sharing of useful and practical ideas that keep both students and teachers engaged in their learning. 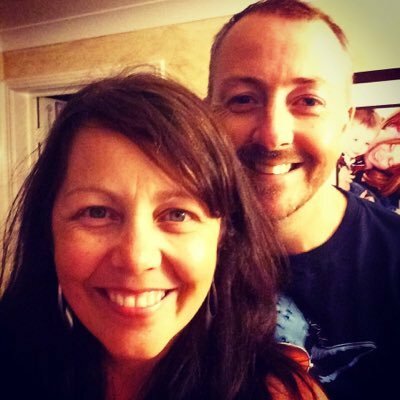 Helen shares her ideas via twitter @helenfwebb and on her blog https://helenfwebb.wordpress.com; her CPD resource packages are available on TES. Outline of session: In this session we will look at some of the most popular apps to support activities from writing and assessment through to revision and memory skills. Expect to come away with a list of apps which can be used on iOS devices like iPads and a deeper awareness of what apps are effective and easy to use in lessons. Warning…some of these apps you may find addictive! Kate Broadribb: Passionate about the use of new technologies to enhance teaching and learning. Her previous role as Advanced Skills Teacher enabled Kate to support colleagues through outreach work by sharing the success (and failures!) of embedding new techs in the classroom and across a school community. Now Senior Leader for Learning at Wildern School, launching and embedding a BYOD scheme through to running training workshops in using Apple iOS and Google Classrooms keeps her busy. Kate remains inspired by the teachers students who see how technology transforms their learning and is committed to sharing this practice with others. Outline of the session: The task ahead of EAL learners is to learn the English language whilst learning subject content through English. In this session, I will outline the five areas of effective EAL differentiation, explaining the language research underpinning these areas. I will then present the audience with several practical examples and ideas for your classrooms. From research to classroom practice indeed! This session will be both primary- and secondary phase friendly. Kamil Trzebiatowski: An EAL Coordinator at a secondary school in Kingston-upon-Hull. He is a frequent EAL trainer and presenter at conferences and teacher events. In 2016, he served as a director for Kingston-upon-Hull’s first EAL Conference, and has so far organised two PedagooHull events, free sharing practice conferences for teachers at the University of Hull. He is an associate trainer with EAL Academy, a NALDIC) executive committee members, and has a regular column in NALDIC’s EAL Journal. Expected outcomes: Teachers will leave with a better understanding of strategies which improve student outcomes and differentiate for students with different starting points. Outline of the session: Delegates will be able to discuss and develop practical applications of effective practice in supporting students to make significant progress over the year, and will leave the session with ideas and resources which can be used in lessons straight away. Zarina Esat: A lead practitioner, and previous Key Stage 5 coordinator for Maths at the City of Leicester College. Zarina consistently produces outstanding results with students at all levels of ability. She is utilised by the school to support teachers in improving their practice and securing improved outcomes for learners. Expected outcomes: Taking what might be the core category of routines for learning – Feedback Cycles – we’ll explore the nuance in feedback, to set attendees off to build practice beyond routines. Outline of the session: Learning routines are a great way to begin getting some consistency in approach. Consistency in approach allows students to build on their learning from one lesson to the next. But once you’ve got them in place, how do you hone practice from routines that get rattled out, to something that individual teachers can develop into sophisticated practice? Expected outcomes: Attendees will have a better understanding of a dyslexic profile, including dyslexic strengths, with some practical tips to take away for application in the classroom. Outline of the session: Starting with some definitions of dyslexia, we will briefly look at the main theories of causation, before discussing what dyslexia might look like in the classroom. We will then talk through some strategies to help dyslexic learners; focusing on literacy. 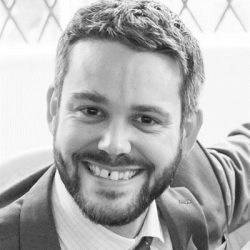 Workshop leader blog: I have provided classroom and 1 to 1 support, including reading interventions; for a range of pupils with SEND. I more recently became a dyslexia specialist. I am now in the final year of an MA in SpLD at Manchester Met. I have a passion for supporting teachers to support learners! 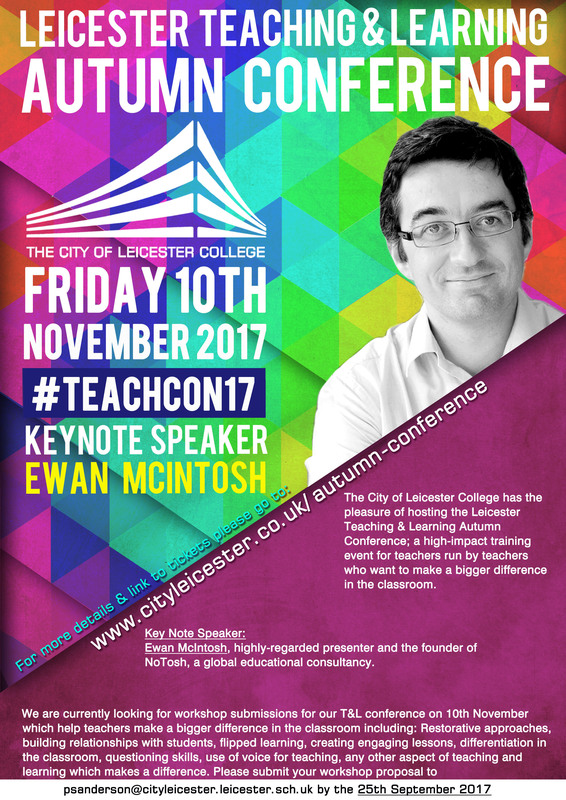 Workshop Title: Autonomy in the Classroom – how we get pupils to work harder than us! Expected Outcomes: To help cut teachers’ planning time by demonstrating the power of learner – led teaching. Outline of the Session: Delegates will be undertaking a range of activities to illustrate how straight forward it can be to cut your planning time in half by adapting resources to place emphasis on the learners and not the teachers. I will also send you away with my mini toolkit to help your learners become more autonomous in the classroom. 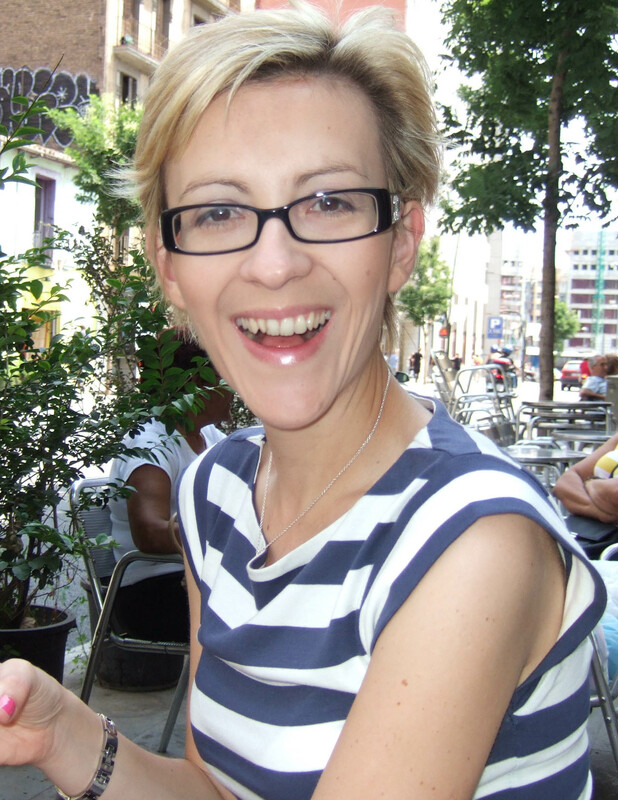 Mel Bulmer: Teacher of MFL (French and Spanish) in a variety of schools across the South West of England and France. 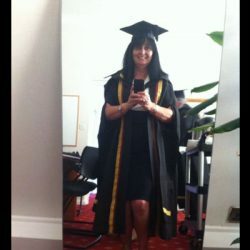 Graduate of the University of Warwick in French and International Studies (BA Hons) and University of St Mark and St John (MA in Education with Distinction). Expected outcomes: Delegates will be able to gain an understanding of the psychology behind the use of sticky notes and why they prove so popular in our lives and how they can be used to facilitate teaching and encourage collaborative learning. Delegates will also be able to participate in a demonstration in the use of digital sticky notes that can be used as a blended learning tool to communicate ideas when used with smartphones and tablets. By the end of the session delegates will have a range of ideas to use in their own teaching practice and beyond! Outline of the session: Sticky notes can be a key tool that blends seamlessly into the learning environment. Small pieces of paper with a strip of adhesive on the back, simple and versatile, they can serve multiple functions and be a valuable tool and resource. The session will outline the psychology behind why sticky notes can be effective and identify a variety of ways that they can be used as a tool to encourage collaboration in the classroom. The session will also outline how digital sticky note services (such as Lino-it) can be used. Delegates will be able to participate in a ‘Lino-It’ demonstration and realise ways that it can be utilised. The benefits of this approach include increased engagement and interactivity; increased accessibility for learners with various needs and accessibility and development of digital capabilities. Come and find out how I have been using sticky notes! There will be an opportunity for some questions & answers and to share ideas. An article will be provided outlining a range of ideas of how to effectively incorporate sticky notes in your teaching practice to encourage collaborative learning. Expected outcomes: Reflect on the research evidence available on measuring the impact of Teacher CPD; Explore how evaluating the impact of CPD has the potential to improve teacher practice, accountability, quality of learning as well as determine value for money and allocation of time. Outline of the Session: Teacher continuous professional development (CPD) evaluation is an often neglected step because it is by many perceived as a challenging and time-consuming exercise and where historically little training and guidance has been given. Drawing on findings from my recently published short paper ‘What we know about evaluating the impact of continuous professional development (CPD)’ the session outline some vital steps that can be taken to measure the impact of teacher CPD. We will highlight the purpose of evaluating teacher CPD, offer some dos and don’ts to get the right conversations started with colleagues and will refer to Thomas Guskey’s (2000) five levels of professional development as a framework for when thinking about CPD evaluation. 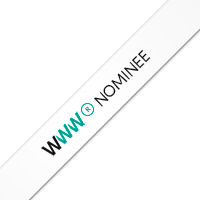 Costa Constantinou: Veema Education’s driving force and has many years of experience both within the classroom and at leadership level. He understands first-hand the needs and priorities of schools today and has led national and international keynotes and workshops on improving teaching and learning, leadership in schools and implementing and managing effective change. Costa passionately advocates that professional development is a requisite tool for teachers to engage with pedagogy, offer collaborative working partnerships, challenge and advance existing practice. Taken together these sharpen our ability to focus on how we teach and how pupils learn — a reflective approach that at its core sees learning through the eyes of the learner. This can clearly sharpen our ability to focus on how we teach and how pupils learn — whereby the ”why” as well as the ‘What’ behind what might work is explored. 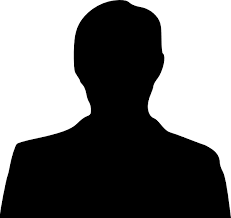 A recently appointed regional Lead Advocate for the Chartered College of Teaching. Outline of the session: I was always taught that if the learners are not engaged, then neither is the teacher! It our responsibility to ensure we are prepared and engaged to delivery confidently. In this session I will share my experiences in developing engaging lessons and a few hands on tasks that have proved to be successful for a number of teachers. Does the use of so called ‘fun’ tasks need to have a link to the learning? Primary/Secondary/Both: Any phase/form of education. Expected outcomes: New ideas for engaging kids in great learning. Outline of the session: Top tips and ideas for any context to get kids engaged in learning and want to do what you want them to do. 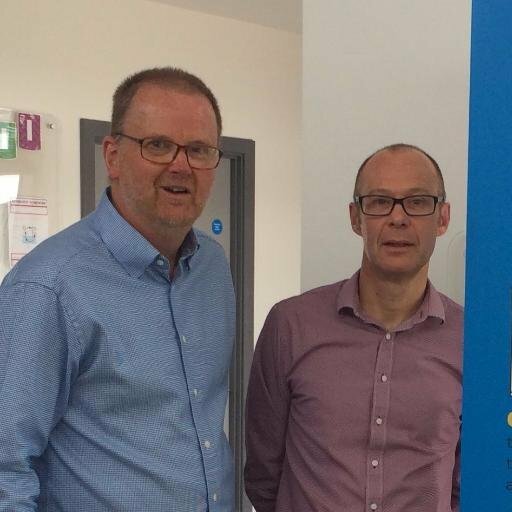 Gary Toward and Chris Henley: Co authors of the best selling ‘Brilliant Teacher’ book series which was shortlisted for the Best Educational Book Award 2017. Through their company. Decisive Element Ltd, they are international speakers and presenters. 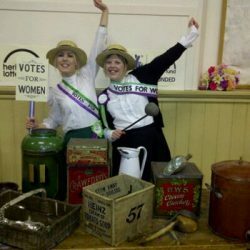 With over 70 combined teaching and leading years behind them, they bring experience, creativity and humour to their workshops. Expected outcomes: Gain an understanding of how various online tools and mobile apps can have an impact on teaching and learning, and pick your way through the jungle of options to find one or two ideas you can put into practice on Monday. Outline of the session: We’ll review a range of online tools and consider how they can be used for particular pedagogic purposes. All welcome, whether you’re an early adopter or someone who’s not sure where the on button is. Bring a device (phone, tablet or laptop) as we’ll be getting ‘hands on’ at various points. Dave Stacey: Lecturer in Initial Teacher Education at the University of Wales Trinity St David. Before that, he was a History teacher and E-Learning Coordinator at a large Swansea comp. During that time he was seconded to work on Hwb, the Welsh national Learning Platform. Expected outcomes: Teachers will take away ways in which they can embed short films into English in order to enhance the experience and outcomes of learners. Outline of the session: In this session Rob will demonstrate how films can be used to develop comprehension skills and how they act as a model for writing. 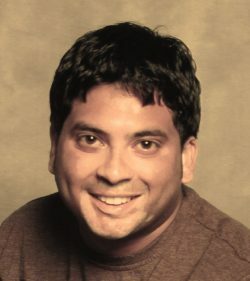 Rob Smith: founder and curator of www.literacyshed.com. 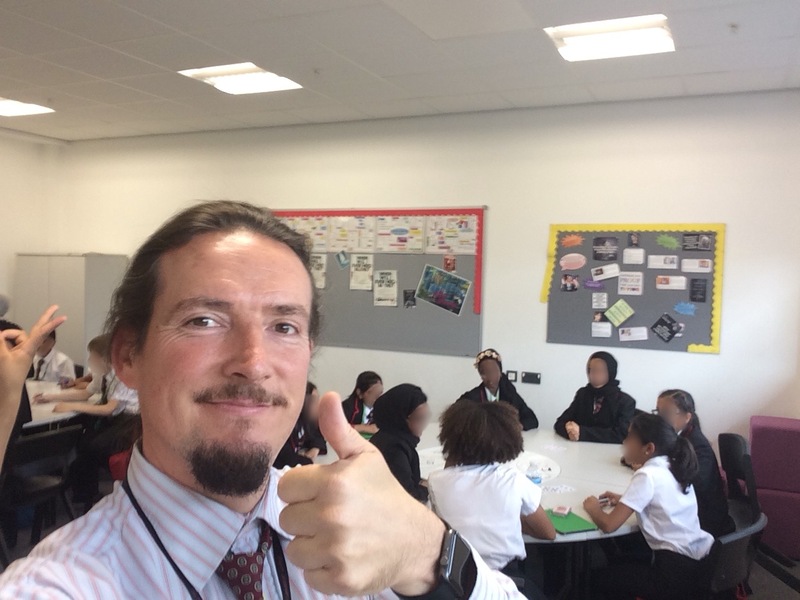 After a decade of teaching and leading English in primary schools, Rob now travels the world delivering writing workshops for children and professional development sessions for teachers around reading and writing. Workshop title: Life skills, resilience and drug education by stealth! Target audience: All secondary school and FE teachers, particularly PSHE teachers and those with pastoral roles. Expected outcomes: To help teachers develop confidence in delivering the potentially difficult areas of making smart choices about healthy lifestyles, building resilience and developing key life skills to have a positive impact on learning. Outline of the session: Combining insights from philosophy, psychology and recent educational theory the session aims to show teachers how they can guide their students to making informed choices about their actions with regard to health and well-being. By explaining the pitfalls of our cognitive biases and the importance of meta-cognition, the session will not only give teachers and students plenty to think about, but provides a wealth of practical activities that can be used in the classroom the next day. By applying the teaching strategies from the workshop teachers can help their students to make choices that will have a positive impact on their lifestyles and their learning. This is drug and alcohol education, but not as you know it! 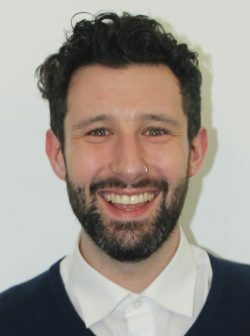 Callum Jacobs: Over twenty years experience as a teacher of psychology and sociology in London secondary schools and was also head of a large PSHE department. He studied at the London School of Economics, the Institute of Education and holds a certificate in drug intervention studies from Manchester Metropolitan University. 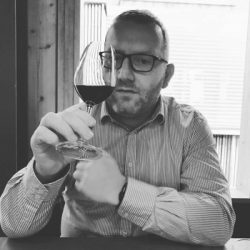 Callum also worked for many years with the alcohol industry regulatory body The Portman Group and as a spokesperson on drug education for the drug information service TalkToFrank. 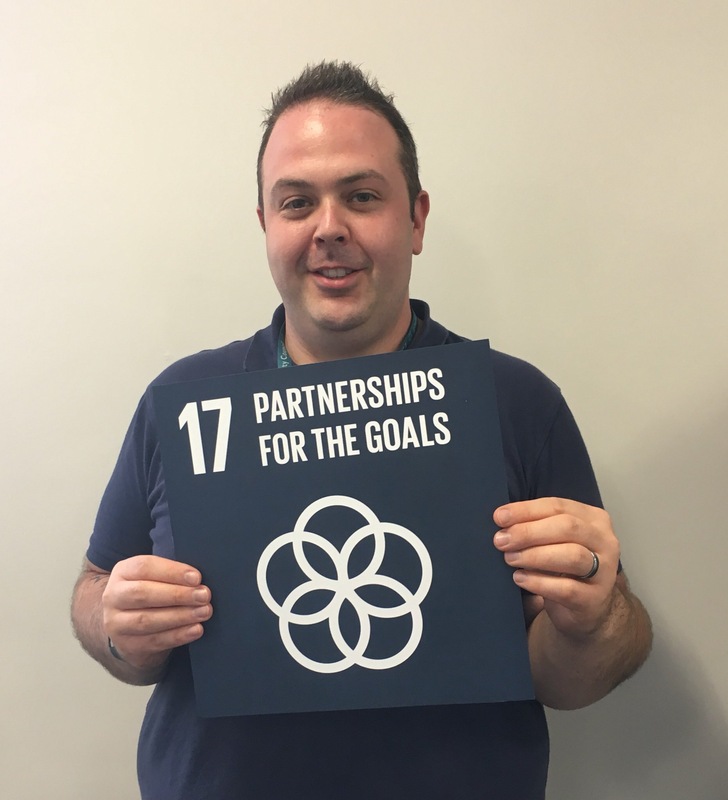 Callum is passionate about helping teachers to help students make smart choices about healthy lifestyles and to develop life skills and build resilience to help them through the tough school days and beyond. Expected Outcomes: Identifying the effective mechanisms for supporting staff development and evaluating impact. Outline of the Session: The nature of this session is designed to look at how we design schools around learning, to ensure that staff and students alike see value in scholarship and are able to identify areas for improvement, as well as strategies for development. By trying to encourage objectivity at the heart of teaching and learning conversations, as well as provide space for staff to reflect and develop on their practice, we can ensure that CPD and staff development is as purposeful as possible. This session will outline suggestions for providing high quality CPD in-house, thoughts on how to evaluate the impact of systems or initiatives, as well as how to best support staff development. Paul Dwyer: Deputy Head (Curriculum) at North London Collegiate School. I am a great believer in evidence informed practice and the benefits that this can have for schools, which has led to my involvement with the Chartered College of Teaching as a member of the Council. Workshop title: Motivating through choice. Expected outcomes: how to provide a choice laden environment which allows discussion amongst students that can either be vocabulary rich or a rapid exchange of ideas that can be logged as high order thinking skills. Outline of the session: Explore the possible presentations of guiding student conversations that can suit a range of confidences and possible vocabulary and question styles that can aid those that might feel uncomfortable with open and extended communication. Drawing on recent work in the classroom this is then extended to how students can then record within groups or as individuals. Finally to highlight the need for development into a period of silent focus and how this can either be independent sessions with classroom and table furniture that students can rely on support or continuous support and working together to produce a final piece that can accommodate a range of abilities leading to an assessed outcome. Workshop leader: Secondary School English teacher. Worked in behaviour management and referral system before returning to mainstream education four years ago. Since had series of very successful lesson observations and working with RQTs in classroom strategy development. Outline of the session: how the work of Professor K Anders Ericsson- Professor of Psychology at Florida State (& its interface with the work of Carol Dweck) – can improve the short, medium & long-term planning of Writing & Mathematics. in particular. & significantly increase pupils’ results. Expected outcomes: Attendees will hopefully leave with more knowledge about the practical strategies of the gained time from a flipped classroom model. Outline of the session: Attendees will have a outline of what flipped classroom is, the strengths and weaknesses of using this methodology and potential solutions to overcome these problems. This will include strategies to improve reading as an activity to facilitate flipped classroom. It will also explore strategies in lessons which allow students to add depth to their ability to critical think about the topic they have read about. Sunny Gunessee: Sunny has 10 years teaching experience in Humanities, he started as a Humanities teacher in central London before moving to Oriel High School to a take on a subject leader post in 2012 and now in his current post of Faculty Head as of 2013.. Sunny’s professional interest include the development of staff from all levels to create consistency in the school improvement, he also has a professional focus on how to create students who are accountable for their actions especially in KS4 and KS5. He is also a long term suffering Tottenham Hotspur fan. in England, run by the workshop leader, used simple writing exercises to reduce stereotype threat. The results suggest that the exercises substantially increased the academic performance of stereotyped students and reduced their self-reported levels of stress. Finally, we’ll discuss possible opportunities for schools to participate in further research within the next couple of years. Target audience: Any Primary or Secondary teachers who’s students have regular access to a device (iPads, laptops or PCs), and who’s school makes use of Office 365/Office 2016. Expected outcomes: Learn how Microsoft OneNote Class Notebook can be used in the classroom to deliver content, capture student work, review progress and provide feedback. Outline of workshop: Take part in a lesson delivered solely through Microsoft OneNote Class Notebook. From presenting the work to the class, providing all the required resources, completing the task, reviewing progress, receiving and responding to feedback. All through one handy application that you most likely have already within your school setup. Creative use of “tags” makes evidencing feedback a breeze, and the portability of Office 365 means that the learning doesn’t need to end at the classroom door. During the workshop, you will take on the role of the student and actively participate in a classroom activity, and experience first-hand how this simple but powerful approach can help free teachers from the print-room/photocopier for good. 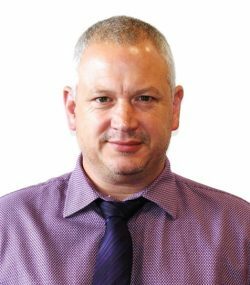 Anthony Tompkins: Teacher of Mathematics and Computing with 20 years classroom experience, gained in the East Midlands and overseas, Anthony currently leads on ICT strategic development at The City of Leicester College. Workshop title: Searching for the answers: planning your lesson through question stacking. Expected outcomes: teachers will take away a practical approach to ensuring they plan for highly effective questioning. Outline of the session: I will share the idea of a question matrix which enables teachers to increase the level of demand of questioning as the lesson develops, use a Blooms question chart to ensure stretch and challenge, teachers will have the opportunity to relate this to their own subject area and ensure appropriate AfL strategies are used to prove the learning objective was achieved. 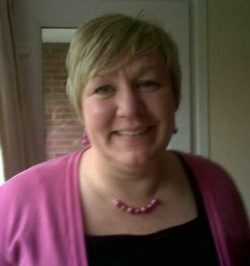 Nikki Squires: Deputy Head in a Leicestershire school with an SEN and Learning and Teaching background. Workshop title: EmBRACE (Emotionally and Brain Resilient to Adverse Childhood Experiences) and become ACE (Adverse Childhood Experiences ) aware. Outline of the session: Research shows that there is a strong link between Adverse Childhood Experiences (ACEs) and poor physical and mental health, chronic disease, lower academic success in childhood and, into adulthood. The neurobiological effect that ACEs and toxic stress cause towards a child’s brain needs to be understood. Children experiencing trauma act out. They can’t focus or sit still or they withdraw. Fight, flight or freeze is the normal and expected response to trauma. They never endure the natural recovery mode. So they cannot learn. Coping behaviours may also be seen as a response to the changes in the chemistry of their developing brain that is being impacted by ACEs. Delegates will have an understanding of what ACEs are, how they can impact on the development of a young person’s brain and also their long term health. Good practice will be shared by colleagues from Witton Park Academy who piloted EmBRACE. 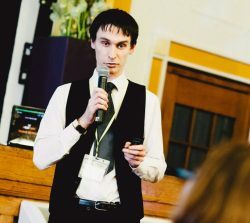 Emphasis will be place on: ‘what’s been done differently’; teaching children and young people to be resilient, which will subsequently equip them with the tools needed to successfully address the symptoms brought on by ACEs and address the longer term goals; demonstrating positive relationships between adults (predominantly teachers) and children/young people. Sue Irwin: Sue is a very experienced consultant, with over 21 years in education. She is skilled in leading and managing change which impacts positively on teaching, learning and cultural change. 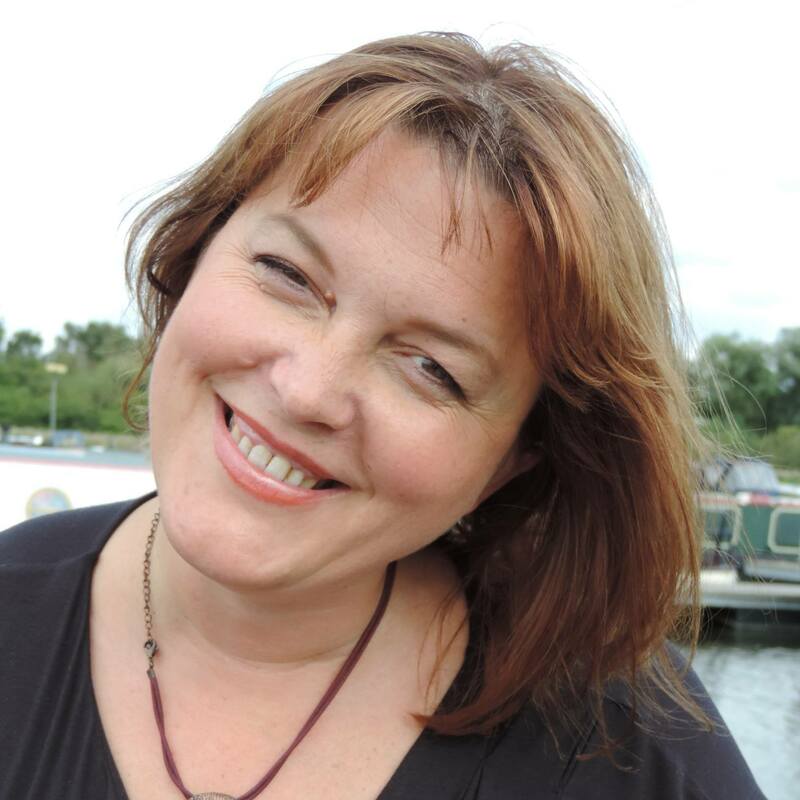 As a practicing teacher and consultant, Sue continues to build on her successful career and demonstrate her passion for ensuring that all children and young people reach their true potential. As a national lead on Adverse Childhood Experiences (ACEs), Sue has used her transferable skills to lead other professionals outside of an educational setting to develop their practice and provide change management through an ACE lens. 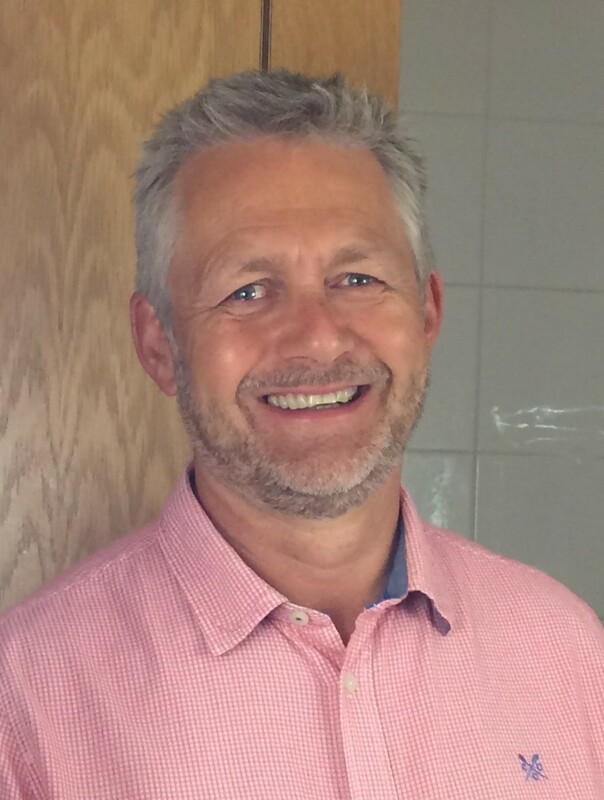 Steve Archer: Steve entered teaching after 20 years in industry and quickly developed a pastoral focus. 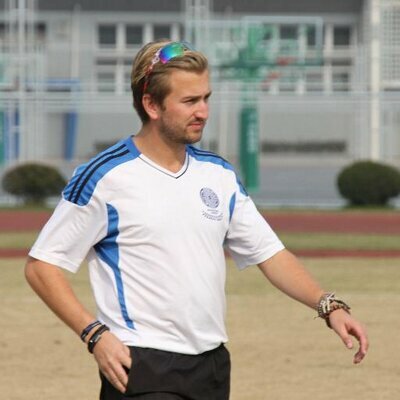 Steve is a history teacher and behaviour specialist at Witton Park Academy. 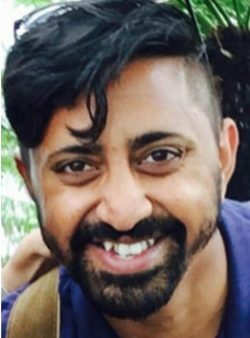 He works with colleagues in many education and non-education settings on trauma informed approaches, community cohesion and positive responses to statutory duties including PREVENT and British Values in hyper diverse and mono cultural settings. 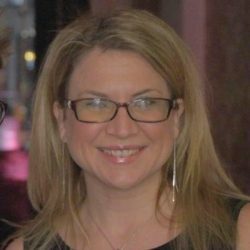 Jennifer Robinson: Jennifer has 20 years of experience in teaching and training in various sectors of education and is still a practicing teacher and coach. 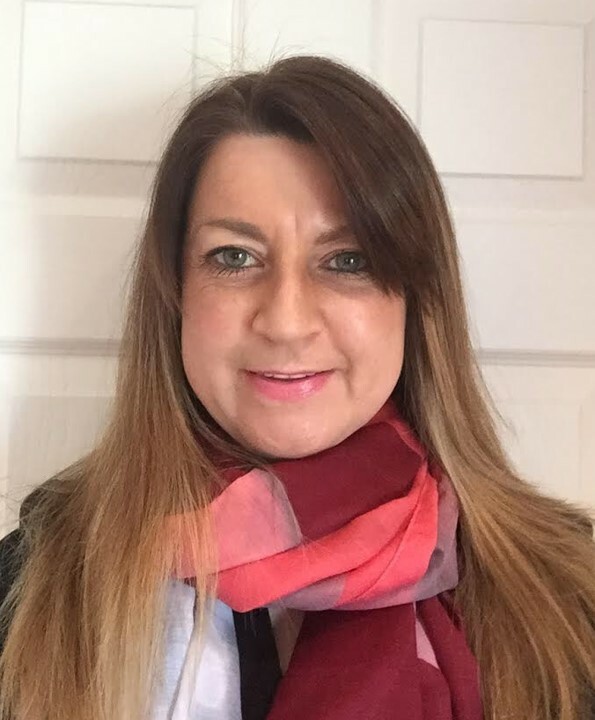 In her different roles of teaching, managing and training staff and pupils in education she has used the growth mindset and developing emotional resilience philosophy to help her become successful in motivating underachieving staff and pupils. 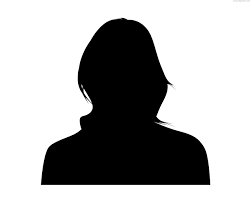 Jennifer has trained with the Coaching Academy in personal coaching and coaching in the education sector. She has also studied various professionals who advocate healing emotional trauma to help with developing resilience and through this has developed her own strategies and methods for helping motivate people through times of change and personal stress. Workshop Title: Show me your argument! Target audience: Secondary and above. Outline of the session: Students often struggle to structure their own arguments in a logical way and to effectively evaluate the arguments of others. As a result, written work can often be more confusing and less insightful than it should be. It does not have to be like this! There are proven and easy to learn techniques, developed from the philosophy of argumentation, that can empower all students to reason more effectively. This workshop will explore a couple of these key techniques including tools for visualising reasoning, challenging assumptions and the ‘ultimate rule’ for making watertight arguments. Expected outcomes: Teachers will be able to train their own students in some simple techniques proven to promote effective reasoning skills. 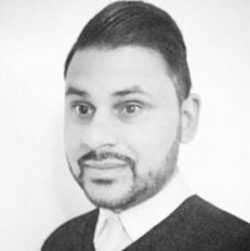 Paul Joseph: Curriculum Leader for Psychology, Philosophy and Law at WQE College, Leicester. He has led various programmes designed to promote effective reasoning skills in students. Outline of the session: There is no such thing as a perfect teacher. We can all get that little bit better, all of the time. As Dylan Wiliam says, ‘Every teacher needs to improve, not because they are not good enough, but because they can be even better’. But how do we as teachers get better? This workshop shares ideas and tools that teachers can use as part of their everyday practice to become self-improving. 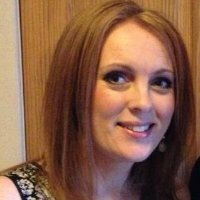 Laura O’Leary: Assistant headteacher responsible for Learning and Teaching and CPD. When I get 5 minutes also a keen tweacher! Obsessive about leadership being about enabling great L&T! Target audience: Any secondary teacher looking to build an ethos of resilience in anticipation of linear GCSE exams. Expected outcomes: In this workshop we will look at the requirement to build resilience in learners in preparation for the new linear GCSE exams and as they enter the world of work. You will leave with strategies for building resilience in the classroom, form time and exam hall. Outline of the session: This session will start by looking at why resilience is important and what a resilient student looks like. We will then look at practical strategies for improving attitudes and perseverance in the classroom with a focus on resilience in extended writing. This will lead into approaches both teachers and students can adopt ready for exams. Lizzie Nevell: Teacher of English in Manchester with an interest in improving the emotional well being of students and encouraging students to foster a love of reading in children. Lizzie is also a Duke of Edinburgh Coordinator and volunteer with the Army Cadet Force with 7 years of experience in getting students to perform new, exciting tasks outside of their comfort zone.